One of the highlights of our Kuala Lumpur trip was visiting Batu Caves. 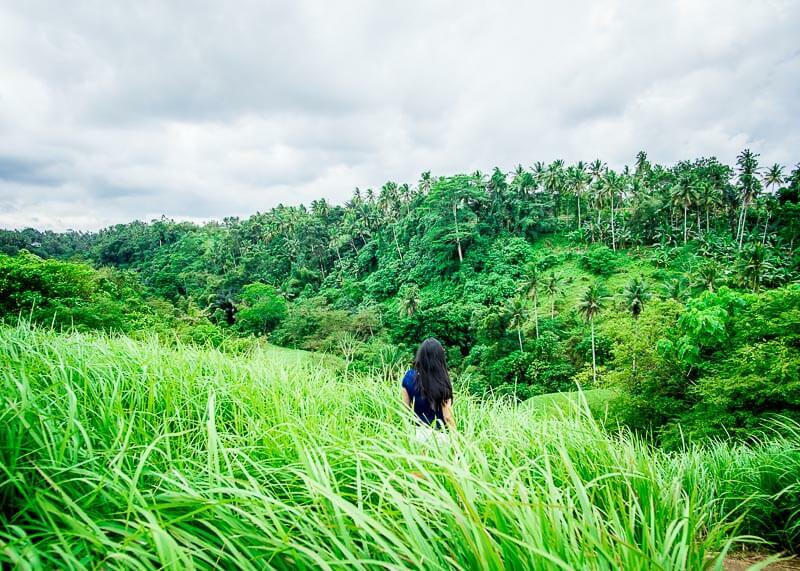 I’ve always seen beautiful photos of the place and had it on my to-visit list someday. Read this guide if you are looking for tips for your upcoming visit to this magnificent site. 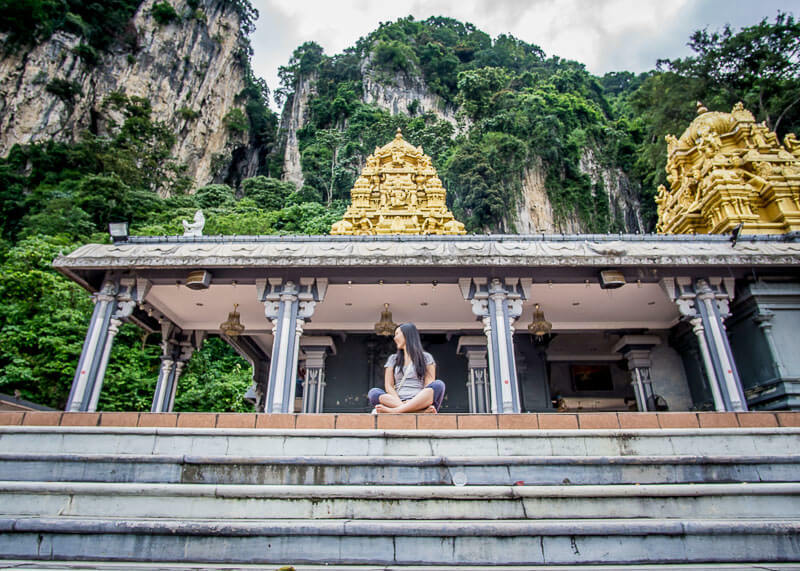 Even if you aren’t visiting Kuala Lumpur anytime soon, this guide has incredible photos that will convince you to add Batu Caves to your bucket list. 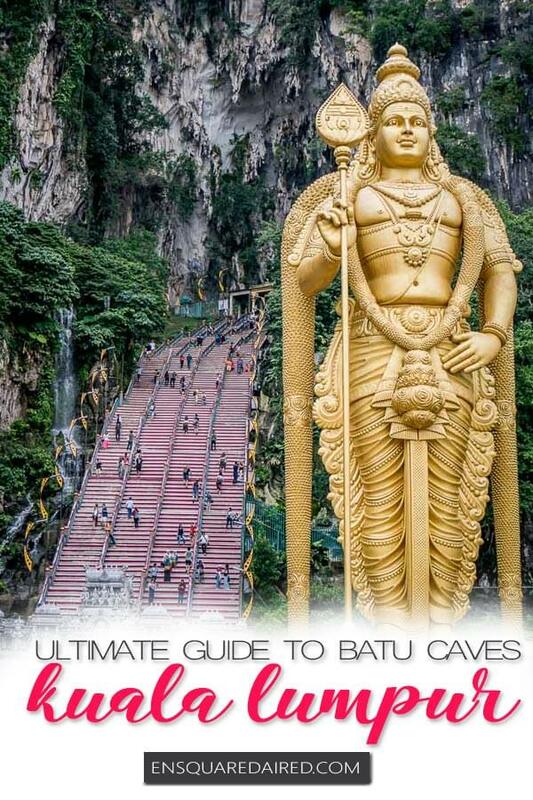 What are the Batu Caves? 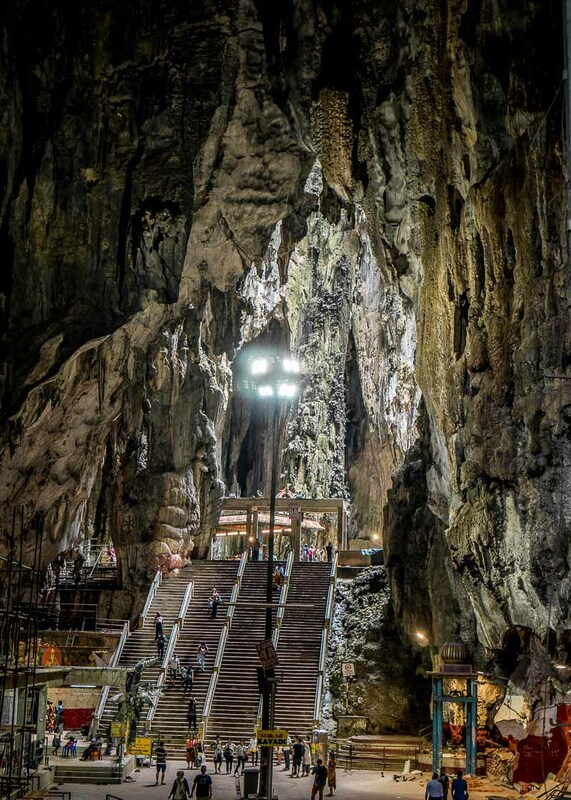 The Batu caves are a set of caves on a limestone hill, located just outside of Kuala Lumpur in Gombak, Selangor. To reach the caves, you have to climb the steps before reaching the top. 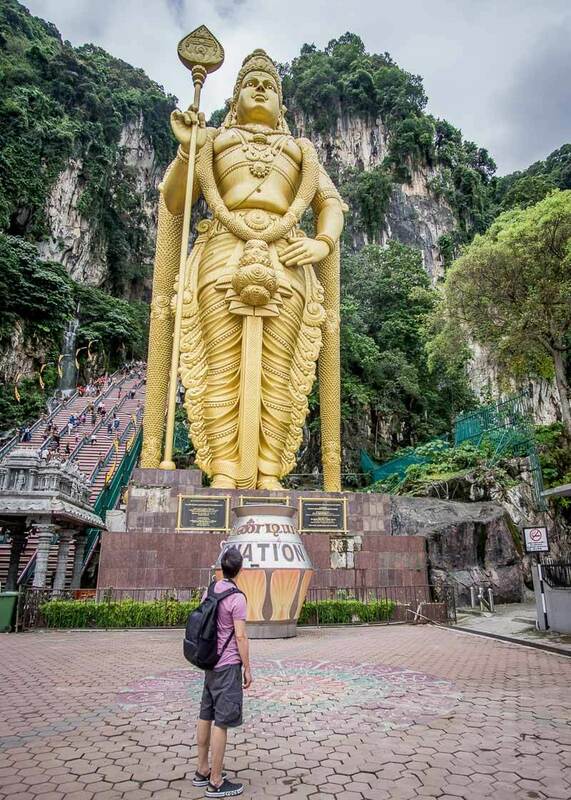 Lord Murugan, the second tallest statue of Hindu deity in the world, stands guard at the bottom of the caves. The top of the caves houses one of the most popular Hindu shrines. 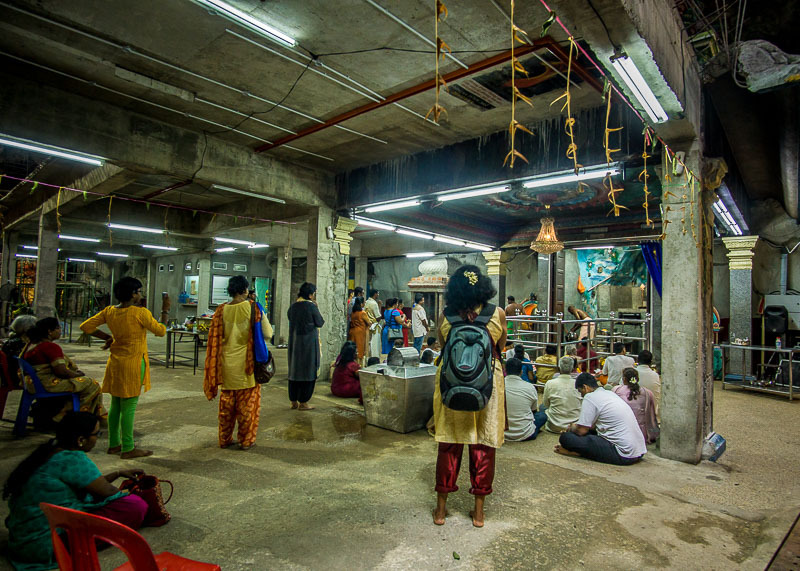 In fact, over one million visitors come to celebrate Thaipusam at this shrine on an annual basis. 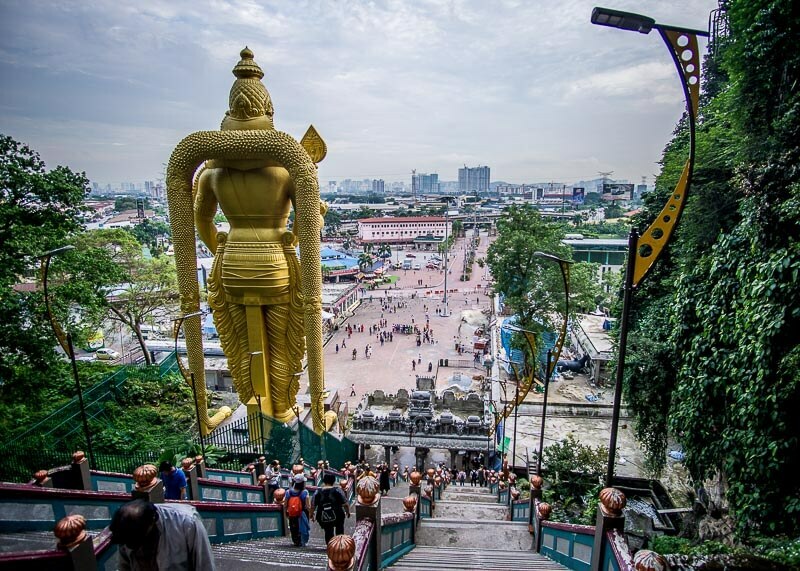 How many steps are there to reach the top of Batu Caves? You will be relieved to know that there are only 272 steps to get to the top of the caves! I know, it looks like an insane amount of steps at first glance. It turns out that the climb is really not all that bad and makes for a good workout! Hanuman was the first statue we came across when we left the station. It was quite impressive, and there were lots of people trying to take a photo with him. 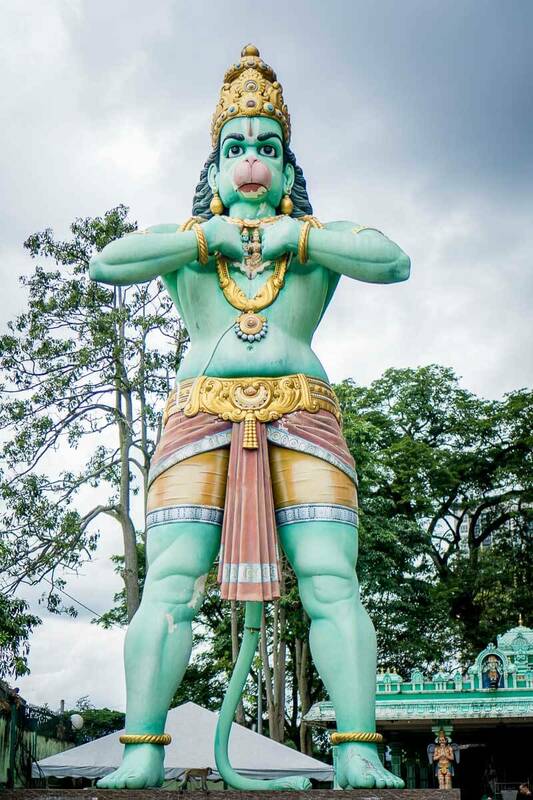 Hanuman is also a character seen in Cambodia, Thailand, and Indonesia too. I grew up knowing him as Monkey King from Journey to the west. Side note: I didn’t realize that I’ve been seeing different depictions of Monkey King all over Asia until recently. As we continued walking towards the Batu Caves, we came across another temple at the foot of the hill. 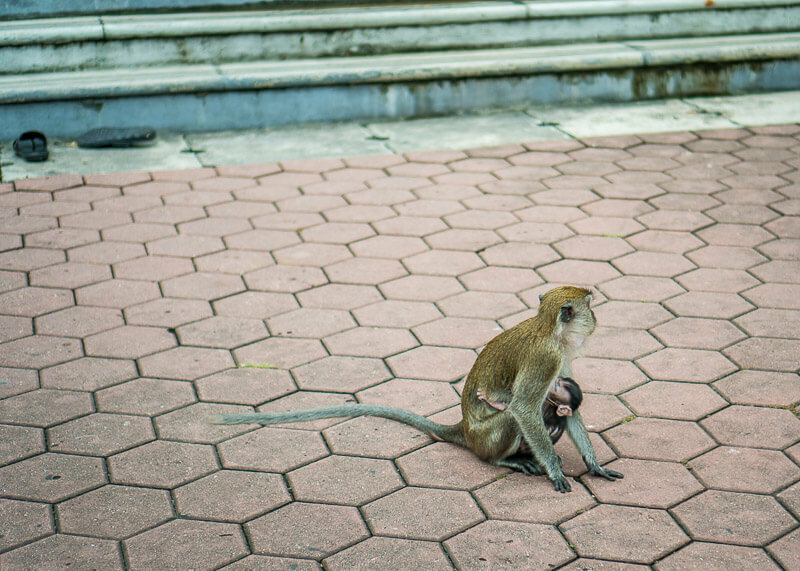 Of course, monkeys were running all over the place. At over 140 feet tall, this statue is the second tallest statue of Hindu deity in the world. An interesting fact about this statue is that over 300 Litres of gold paint were used to paint the statue. Monkeys people watching, or should I say… banana watching? Monkeys will eye you the second you walk to the attraction. What they are looking for is any food that can be quickly snatched from your hands. 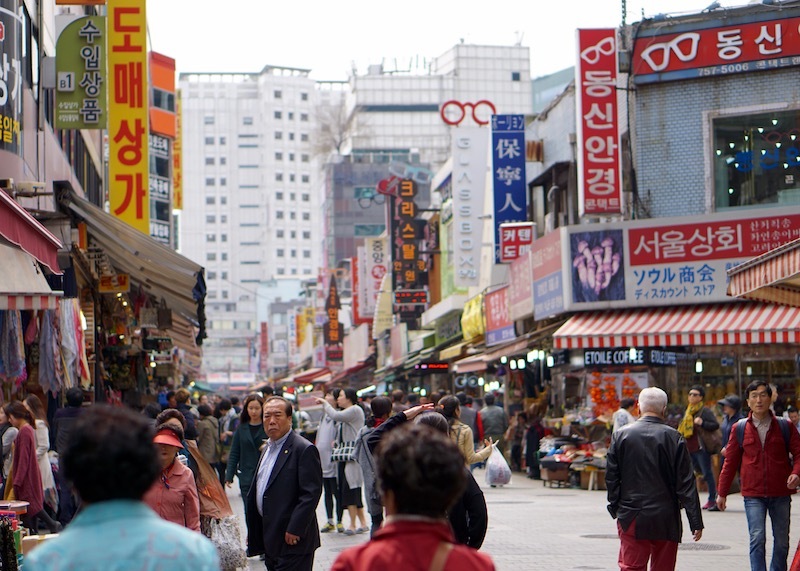 Many tourists had their food taken from them – clearly, they didn’t get the memo to not carry any food in plain sight. What’s funny are the number of stands that sell bananas in the area. I couldn’t help but wonder if they were for tourists to eat or for feeding the monkeys. Either way, the monkeys will end up with the bananas. It was funny to see tourists getting their bananas yoinked out of their hands as they were about to eat their fruit. We mentally prepared for the long journey up the steps which turned out to not be as tiring as we expected. It also took us about 15-20 minutes to get to the top. Mind you, we did stop every so often to take photos and avoid the jumping monkeys. There were some difficulties as the stairs were steep, narrow and with no proper handrails. For those who have a fear of heights, keep climbing and don’t look back! 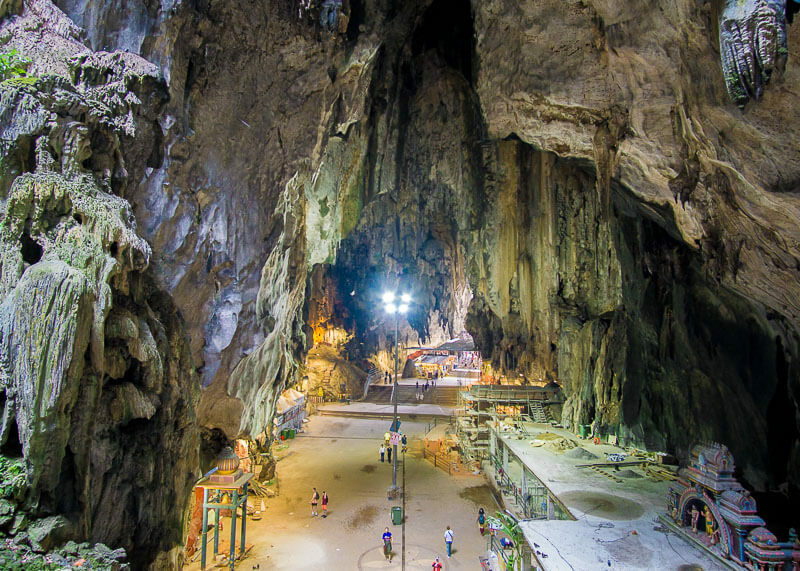 The Temple Cave is the largest of the three main caves on Batu Caves. It was interesting to observe the proceedings, although I had no idea what was happening. 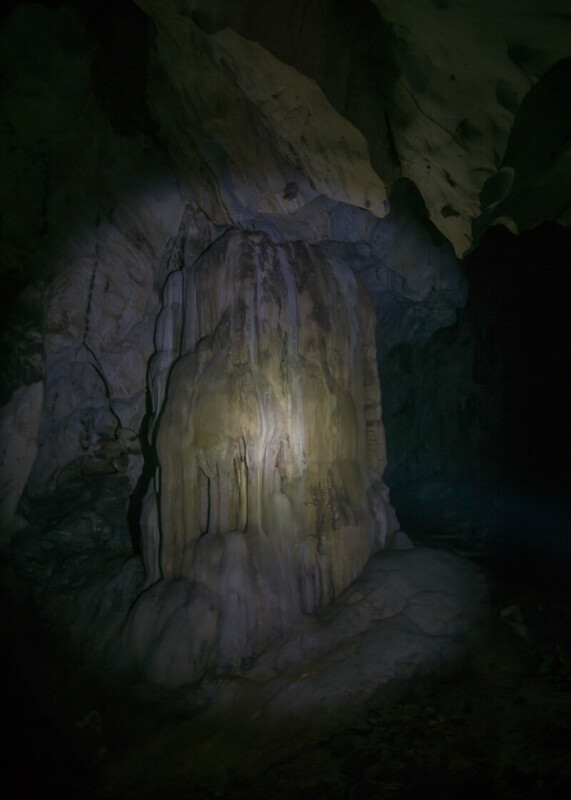 You’ll see many stalactites and stalagmites in the dark caves tour. Most took over thousands of years to form! As we made our way down, we saw that there was a tour of the dark cave. Intrigued, we decided to give it a shot. We ended up getting a private tour since we arrived late for the previous session, which worked out for us. Armed with helmets and flashlights, we made our way into the hot and humid cave. As we walked deeper and deeper into the tunnel, I started to get a bit scared at how I could hear bats but could not see them. We weren’t allowed to shine our flashlights above our heads because it stressed out the bats. Apparently, bats poo on you when they’re stressed. I thought about that fact when I tried to avoid stressing out bats at Angkor Wat, but got pooed on anyways. The cave was very hot and humid. The deeper we walked into the tunnel, the closer we were to absolute darkness. Midway through the cave, we reached pitch black, with zero light and no visibility. It’s a pretty crazy feeling to open your eyes and still see complete pitch black. At some point, we reached a wind tunnel which happens when air moves from a bigger space to a smaller area. The breeze was a welcoming change from the humidity that we felt in the caves. We kept going on our tour, stopping every few minutes to see centipedes, crickets and tiny worms. At one point, we stopped and turned on our flashlights, only to see that a rat was about to run across my feet. Luckily, the flashlight scared it away. At over 400 million years old, there is quite a bit of history with these caves. There was a time when the entire area was submerged underwater. Because of that, the limestones surrounding the area was originally formed from shells and corals. The most valuable part of this cave was the bat guano (aka bat poop). 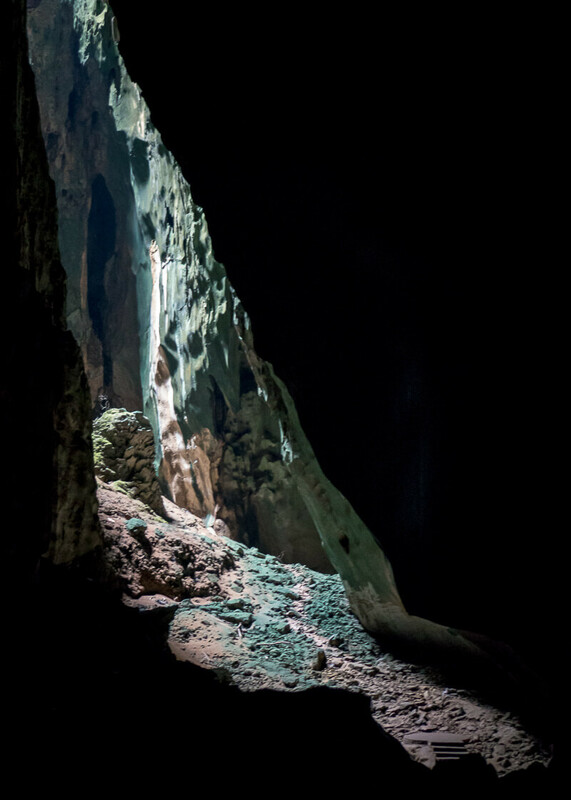 The bat guano supports the cave ecosystem as many insects and snakes live off the guano. What’s interesting is that Chinese settlers started excavating bat guano in the 1800s to fertilize their farms. Piles of guano were created from bats thanks to years and years of them pooing on the same spot. 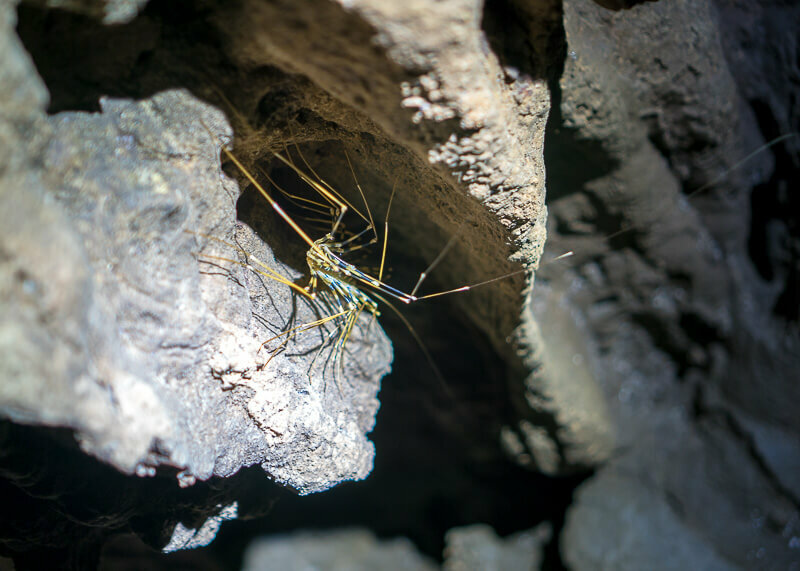 Among bats, there are many cave animals, including the endangered trapdoor spider. We saw many weird looking insects and worms that evolved in different ways because of their cave life. The insects creeped me out so I didn’t photograph many cave creatures. The caves suffered from vandalism during the early days when the public had unrestricted access to them. Thanks to a few bad apples, access to the dark caves are now restricted to guided tours. 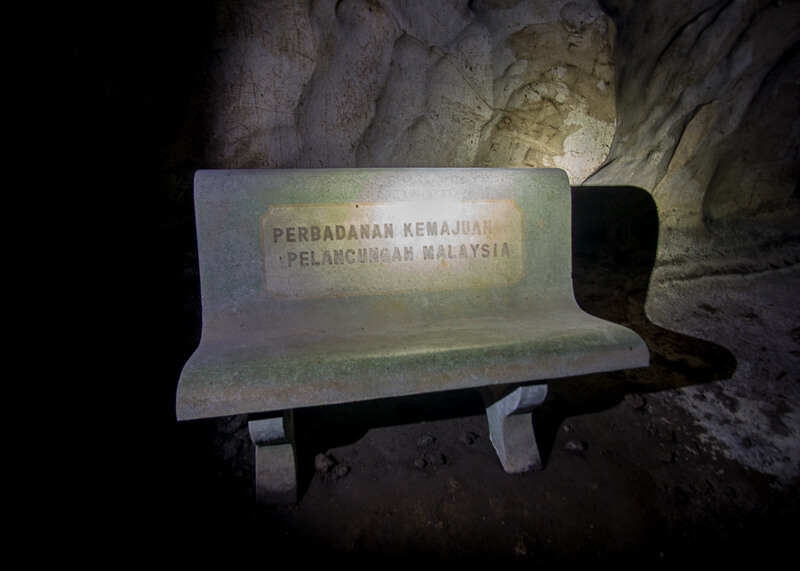 A lone bench that sits deep inside the cave as a reminder of the damage that humans did at one point. 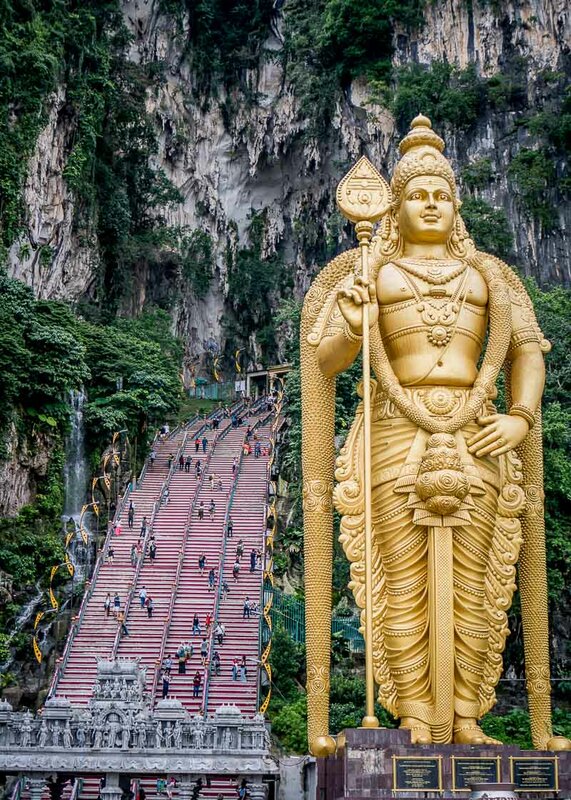 Once the 45-minute tour ended, we continued our way down the crazy Batu Caves steps. Going down was a bit of a challenge because I had to watch where I was stepping on and pay attention to the monkeys. Those monkeys were all over the place, and they kept jumping on the rails or in my path. There was also monkey poo and pee on the railings, so you had to be careful where you put your hand. The caves are open year-round from 7 am to 7 pm. We intended to go early to avoid the crowds but ended up arriving in the afternoon instead. It was a bit busy in the afternoon, but not enough to ruin our experience. Batu Caves is a religious place for Hindus so dressing appropriately for this visit is essential. Therefore, it’s important to make sure your shoulders are covered and shorts extend the knees. There are sarongs available to rent if you need them. 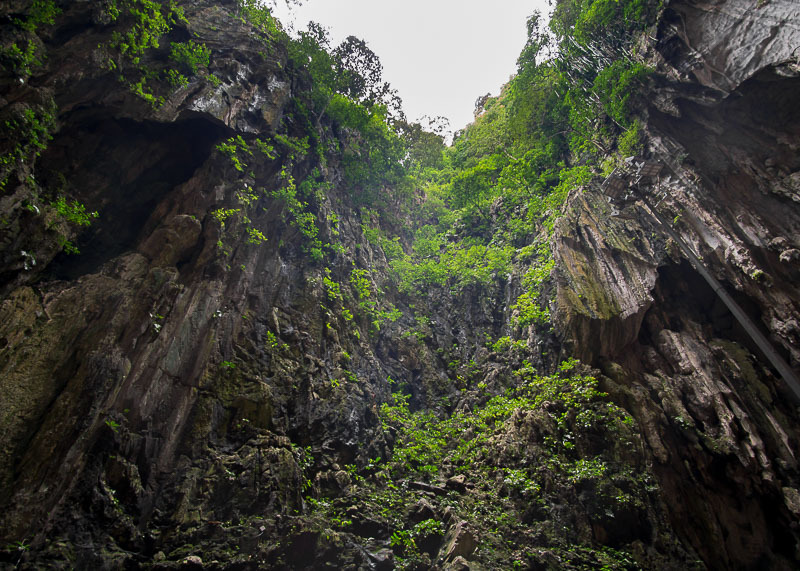 Bat Caves is about seventeen kilometers from KL and accessible by public transportation. 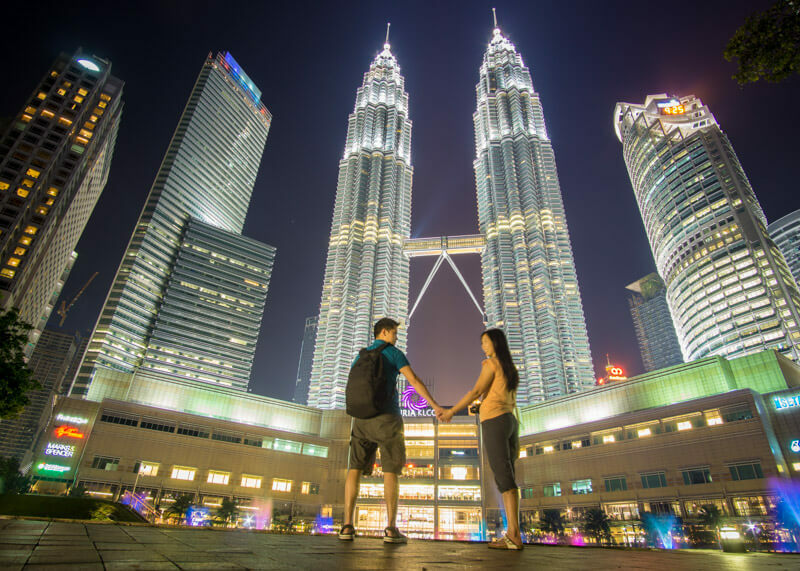 The most straightforward and most hassle-free option is by train from the KL Sentral station. Bus and taxi are also viable options, but once you see the traffic in Malaysia, you might think otherwise. 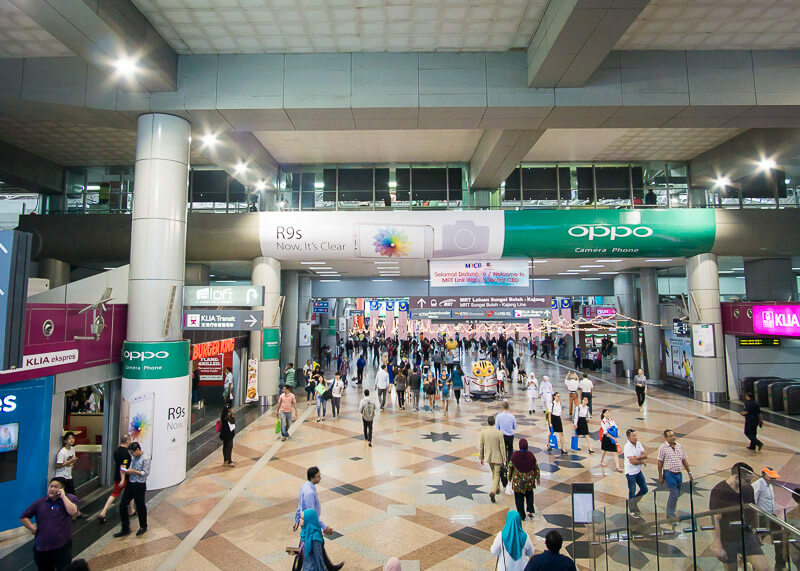 All you have to do is find your way to KL Sentral Station and take the KTM Komuter Train. The ride from KL Sentral Station to the Batu Caves is about 30 minutes, and there are no transfers. If you get to KL Sentral Station and you feel lost, find the information desk and they’ll point you in the right direction. 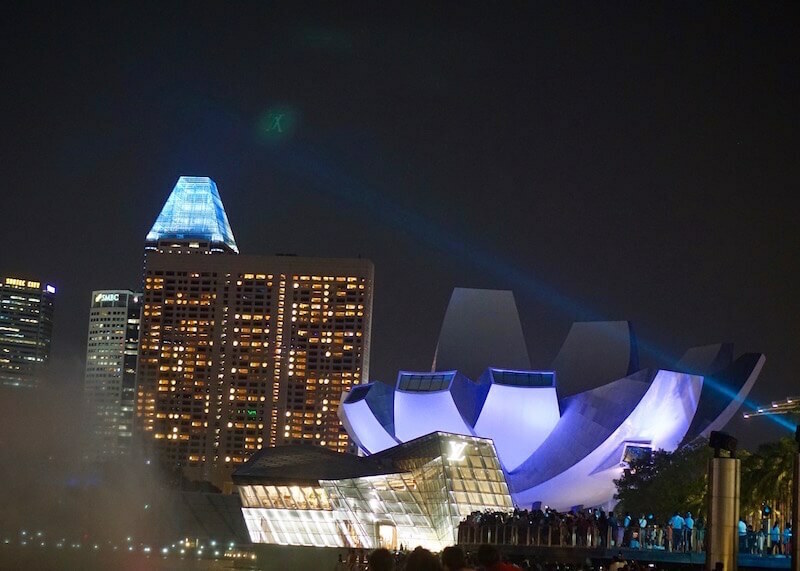 The train departs about 15 minutes during peak hours and 20-30 minutes during off-peak hours. Once you arrive at the Batu Caves KTM Komuter Station, the Batu Caves is a short walk from the station. We spent about half the day climbing the Batu Cave steps and checking out the Dark Caves tour. It’s definitely worth the trip to see this lovely place and will be one of the memorable things you do in Malaysia. Wow, I really hope to visit this place someday. 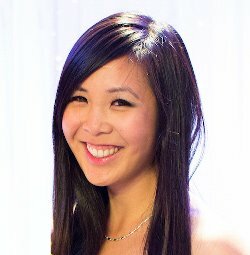 Thanks for the comprehensive guide! I hope you do too! The Batu caves were definitely the highlight of my trip! I am planning to visit these caves in May. They look fascinating. Been to KL 3 times and kept missing them. Won’t make that mistake next time! Aww! I hope you get the chance to the next time you’re in KL! 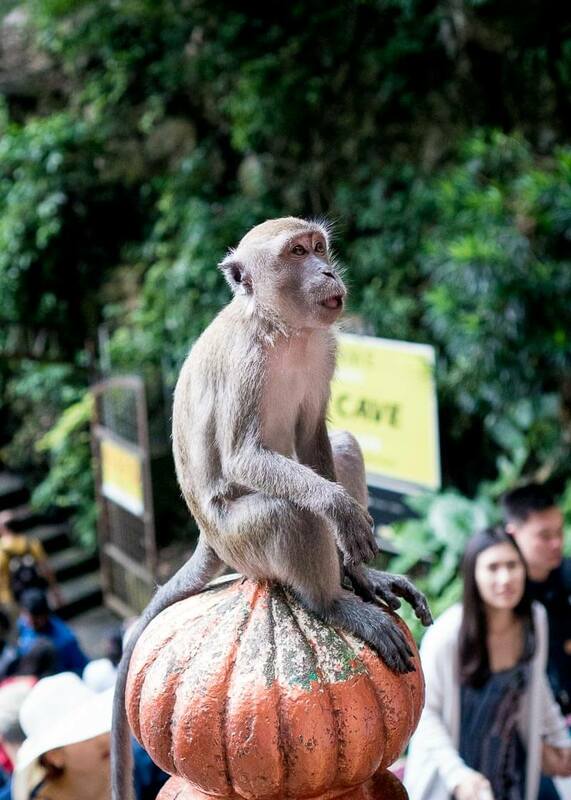 Batu Caves is so close to the city center and so easy to get to! Whoa! Words fail me. I have to check this place out! 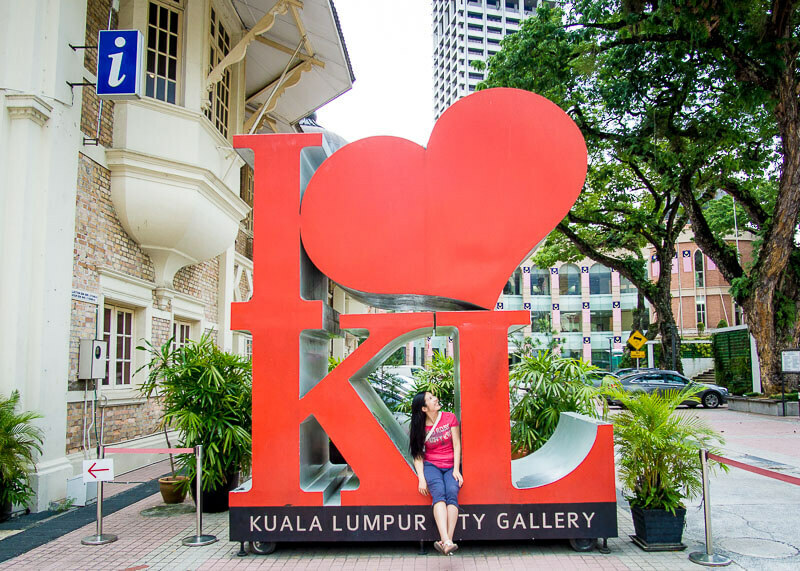 You’ll love it in KL!